Our story began in the month of December 1978 when a carpenter and a mason formed a partnership. That partnership developed between Tim Christian and Darrol Dowdy when they purchased Nichols Brothers Lumber Company from Gene and Botch Nichols. Both Tim and Darrol, having been in the construction business for many years, decided the time was right to form a new beginning for the community. In their agreement, Tim continued in the construction of new homes and as a partner to the new business, while Darrol oversaw day-to-day operations. 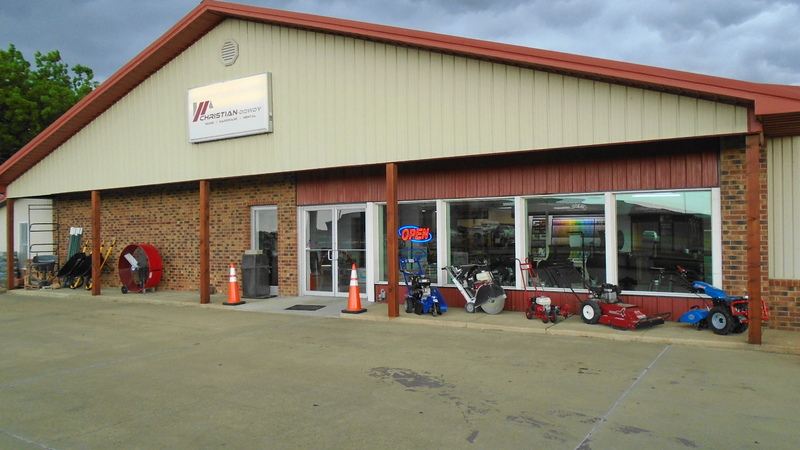 From a very humble beginning, they built a thriving business where they proudly provided quality products and consistent customer service to the Dexter community and surrounding areas. In 1996, after nearly twenty years in business, the decision was made by Tim and Darrol to sell; however, in August 1998, the business was purchased and re-opened by Steve Christian, Tim's son. Darrol rejoined the company as an adviser employee and the business continued along the same path of providing quality products and customer service. February 2004 brought the sudden passing of Darrol, an icon of the company. A strong Christian man, Darrol was an asset to our business, but most importantly, a family friend and welcoming face to our loyal customers. In 2015, as we moved forward, a vision to expand the business was born with remodel work to help accommodate for the expansion beginning in early 2016. In June 2016, 'Equipment Rental' was added to the business. This move led to a re-branding of the company. After nearly forty years as ' Christian-Dowdy Lumber Company ' a decision was made to re-brand as ' Christian-Dowdy - Home│Hardware │Rental ' to incorporate the new identity of our company. Although much has changed in the past four decades, we keep in mind that progress would not be made without our loyal past and present customers. With our experienced sales staff, we continue to strive to provide the same quality building materials and consistent customer service that was found here forty years before. Where friendly folks can still be found, we invite you stop by, have a fresh cup of coffee or bag of popcorn, and let us help you with your next new home, construction or remodel project!